Beaune is the newest addition to the Lacanche family! 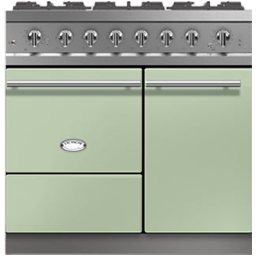 As the first 36" Lacanche range, Beaune is the perfect replacement for your current unit! Roast a turkey in its spacious gas oven while baking a pie or two in its convenient vertical electric convection oven, and keep your family and guests happy and impressed! 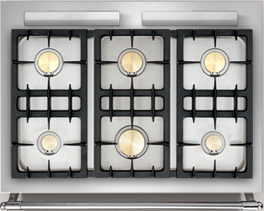 Its 6-burner hob is also new but features the same efficient and powerful burners as the rest of the Lacanche series. On Beaune, the vertical oven is on the right. 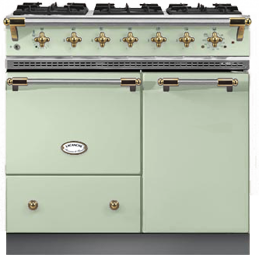 Its sister range Bussy shares the same configuration but with the vertical oven on the left. Choose the best layout for you and enjoy the quality, tradition and workmanship of a Lacanche in a standard North-American size! Beaune is known around the world as the Capital of Burgundy wines. Located in the heart of Burgundy, along the Route des Grands Crus, Beaune is also a city rich in history. Its Hospices de Beaune, founded in 1443 as a hospital for the poor, host a charity wine auction every November and continue to support local hospitals. The Hotel-Dieu building is easily recognizable by its Burgundian polychrome roofs, made of tiles glazed in terracotta, green, yellow and black and arranged in geometric patterns.